Today, we are back with some SEO tips and checklist for a new website. SEO is an essential and fundamental process for a new website, that is seeking the starting success and driving a good amount of traffic. With a sound and well-planned SEO, you can ensure the proper visibility at all the crucial places of the purchasing process or whenever your audiences need you. Now, some general questions that simply arise, such what is the search engines are searching for, how to develop a website suitable enough for both the audiences and the search engines, and how to plan the web presence in the most profitable manner?. It is very important to understand the basics of SEO for the new website instead of investing your time, efforts and resources in creating a fancy stuff. 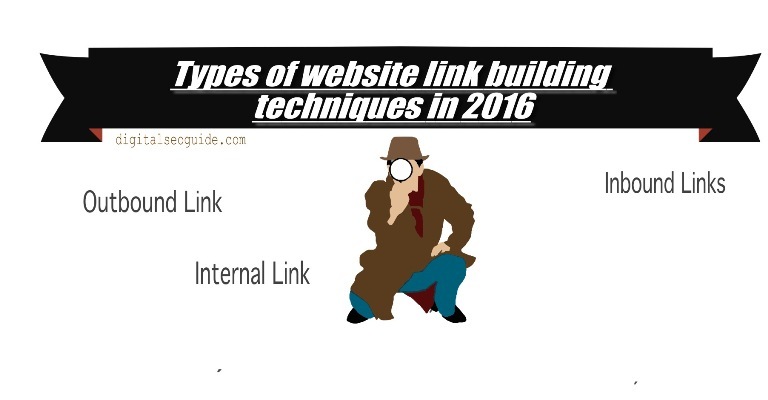 OFF page SEO Checklist, techniques 2015-2016 detailed Guide. On page SEO optimization techniques and checklist detailed Guide 2016. Crafting a superb, matchless user experience. Helping the search engine spiders to understand your intention, so that they can match them with the specific and the relevant queries made by the users. You can imagine your website as a cake where the content, information architecture system and content management are the base ingredients. And, backlinks, paid search, and social media promotions work like icing and toppings. If any of these items is missing your procedure will be a boring one, unimpressive, tasteless and ultimately the waste of all of the efforts and investments. Content: It includes the theme and the pattern of the text, title, description, images, and videos. Performance: It is determined by the fast loading time of your website and also that how does it perform thoroughly. Authority: Have you developed the good enough content be linked by the other authoritative sites as they refer it or website for the relevant information. User experience: Here, the appearance of your website, its navigation, safety status and high bounce rate are counted. Search engine spiders are intelligent enough to understand your tactics and shady practices to trick them, and if you have done so, you are surely going to hurt your traffic, rating, credibility and the customers in the long term. Overuse of the keywords or the keyword stuffing. Buying backlinks: If you have purchased the links, it will certainly damage your long term business and are strictly prohibited. Unsatisfying user experience: Your website must be easy, convenient, interesting and useful to the users. With the presence of excessive advertisement will make your website losing the interest of the users and will reflect the increase in the bounce rate. What is your specific definition of conversion? Have you determined your assets and liabilities? Are you sure about your particular eyeballs? It is not enough to plan and implement the on-site keyword strategy, you need to pay equal attention to extending the other off-site platforms. It is the part of a multi-channel optimization procedure. Other offline mediums such as TV advertisements. You cannot deny the importance of domain naming for your overall foundation. Using the sub-directory root domains instead of subdomains is a smarter choice. Consistent domains: There is a big difference between the query typed sitename.com and www.sitename.com. It will make the search engine to look for the two different websites. It will dilute your inbound links and will not perform fruitful for your SEO. Nothing wrong with being old school: The older domains are much better than the newer ones. But if you are buying an older one make sure that the previous one had a good reputation and was not penalized for any reason. Keywords in URL: If you have inserted your target keywords within your domain, it will support your overall efforts. If you want some additional optimization or better user experience, it is essential for concentration on mobile and tablet optimization. If you develop some richer media content like high-quality images and videos, it will help to gain your image or video the rank on their relevant searches and will certainly play an additional role in boosting the rank. You also need to optimize this context content also to attract search spiders to watch it out. The Meta keywords used on your website must talk specifically to the page and also they needed to be formatted correctly. The title tag on the website is also required to be a unique one. The title is your 4-8 word advertisement. Make it attractive and nice enough to the readers that they want to click and read more. The changing face and future of SEO. Innocent SEO Mistakes That Could Harm and Penalize Your Website. No matter it is new or an existing website, SEO checklist is highly essential to keep in the mind. Skipping any of the step or processes will make a mess and reduce your chances of utilizing your maximum potential and earning the high rank and sound margin. Lots of very useful tips, thanks for the article!